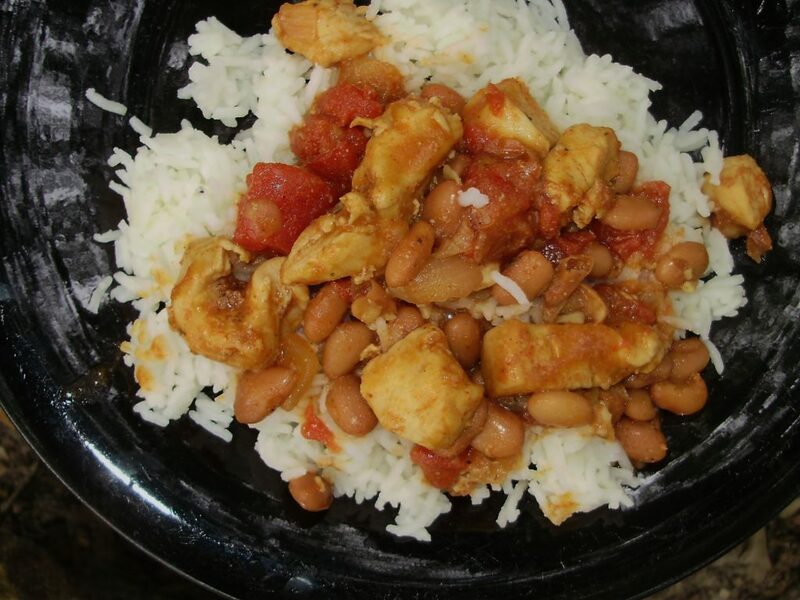 This is a simple and very tasty pantry meal made free of the top 8 allergens! Saute the onion and garlic in 1 tablespoon of dairy free margarine in a large skillet over medium high heat until the onion is translucent. Add the last tablespoon of margarine along with the chicken and spices to the skillet. Cook until the chicken is done, stirring frequently, about 12 minutes. Add the tomatoes and beans to the skillet and stir well. Bring the mixture to a boil, reduce heat to medium and simmer uncovered for 10 minutes. This meal is endlessly customizable as you can add in whatever you fancy. Corn would be lovely, any other kind of bean, bell pepper, jalapeno, etc… See what I mean? Great recipe~ I can’t wait to make this for my family on Sunday. Great way to use up stuff in the pantry. I will have to try this out! Thank you! My husband LOVES King Ranch Chicken (which is similar to this) but I haven’t found a recipe that I was willing to try and then ruin it for him. I think I will try this one. We tried this tonight and It was really good. Thank you for sharing!